In our area, many school age boys play football. We decided that our boys would participate. The first time I saw the boys in helmets and full pads, I took a deep breath. While I know that their coaches are teaching them proper techniques and safety, the idea of boys playing football can be a tough pill to swallow. 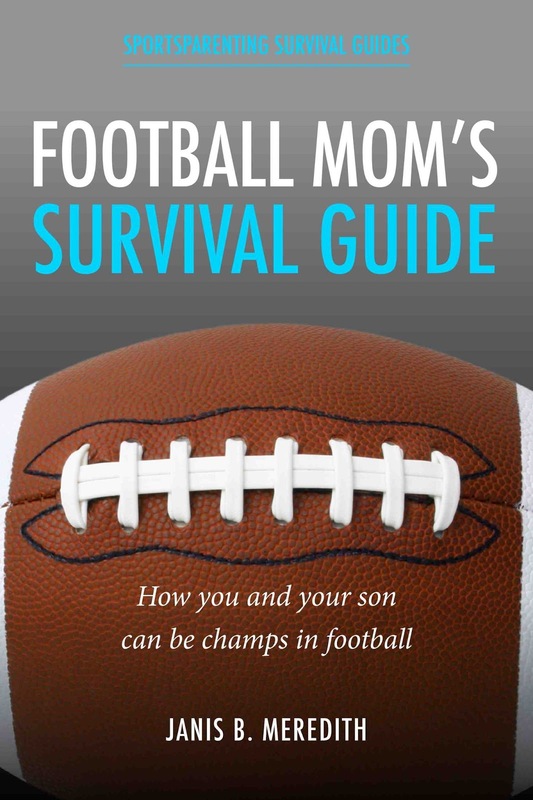 Football Mom's Survival Guide,How You and Your Son Can Be Champs in Football (Sportsparenting Survival Guides) is a good read for any parent who has a child starting to play football. It discusses many areas that families should consider as their children participate. From providing proper nutrition to not overstepping your role as a parent, the role of a football mom is ever changing. The two chapters that I found most helpful were the mental toughness and nutrition. First, the nutrition chapter discusses a variety of food and options that can help fuel a child's activity. Explaining to kids (and sometimes other adults) that good food choices are imperative can be difficult. Who doesn't like a donut on a Saturday morning, but that donut won't be the best fuel for a long football game. The reasoning, food lists, and consequences laid out in this book provide effective persuasion. The mental toughness chapter provides great insight for helping a child not only in sports but in life. Fighting the what ifs and doubts can paralyze many athletes. Creating a confident child can help on the field and in life. I doesn't mean that he or she should be cocky. Everyone should be able to identify his or her strengths and be determined to highlight them. No one can defeat the confident child. 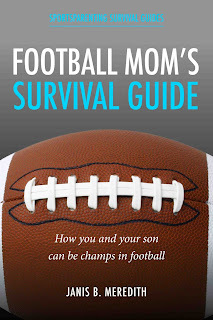 Football Mom's Survival Guide can be purchased on Amazon.com, Barnes and Nobles, Itunes and other formats.